Whether you are an experienced CrossFit athlete or brand new to the sport, CrossFit PHX will make you feel right at home! SCOTTSDALE, Ariz. - Jan. 2, 2017 - PRLog -- If you're looking for a gym to fit all your fitness needs, look no further! CrossFit PHX has everything one could desire in a workout establishment and so much more... Let's start from the beginning. Whether you are an experienced CrossFit Athlete or someone who is just beginning to dip their toe in the fitness water, a knowledgeable coach will always benefit you. Setting the tone for the entire gym is the owner, Coach Mycal "Derz" Anders, a veteran who has been immensely involved with fitness his whole life. At CrossFit PHX, Coach Derz has created a team of educated, experienced and enthusiastic coaches that will motivate you to do your best. The coaches come from all different backgrounds but have one thing in common- a passion for being their best and a passion for motivating you to be yours. Within CrossFit PHX, a 3,600 square foot facility, there is everything you need to get the ideal high-intensity workout. 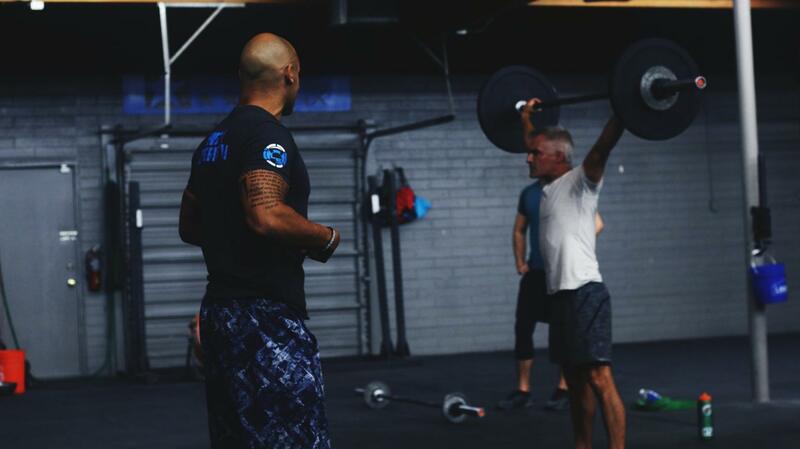 Although a CrossFit gym, the programs that CrossFit PHX offers do not stop there. Restorative Mobility classes are available to aid in recovery and flexibility, an element often overlooked. For those who are interested in Olympic Weightlifting, classes are offered for beginners as well as for the more advanced. And for someone who may be new to CrossFit or just want to customize their workout for specific results, CrossFit PHX offers private training as well as small-group sessions from their dedicated coaches. Taking things one step further, this gym understands that its members are extremely busy, and nutrition is important, but meal prepping can be very time-consuming. With that in mind, CrossFit PHX has teamed with Scratch Culinary so that members can place their meal orders online and pick up delicious, pre-made healthy meals at workouts. You just can't beat that! As if that wasn't enough, CrossFit PHX has an in-house Cryotherapy chamber. Cryotherapy is the revolutionary new way to recover. It's quick; you come out completely dry, and the benefits are astounding. Plus, your first session is only 25 dollars! For CrossFit PHX, connecting with the community is of utmost importance. For the past four years, they have hosted WOD 4 Trent, a fundraiser that helps raise money for the Oral Cancer Foundation, in honor of an old friend of Coach Derz's. They have raised over $10,000 for the oral cancer foundation to date and don't plan on stopping anytime soon. Recently, CrossFit PHX participated in a fundraiser called Toys for Tots, a program that collects unused toys to give to children in need so they can have a holiday to remember. While offering outstanding fitness options, their dedicated community outreach is what sets CrossFit PHX apart. Testimonials from their members say it all. One member says: "Everyone gets along really great, They support each other. Everybody cheers each other on, and there's not a stranger in the gym." Another member who started by just coming on Saturdays to get a feel for the community described that it was like, "an open-arm embrace as soon as you walked in." CrossFitPHX is clearly a one-stop shop for all of your fitness and nutrition needs. Where else can you go for a workout, pick up your meals for the week, quickly recover from your workout in a cryotherapy session all while being surrounded by an amazing group of people? Check out CrossFit PHX at 2200 N. Scottsdale Road. You most certainly will not be disappointed!